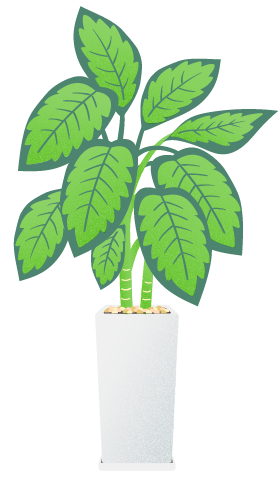 We like our plants like our clients: happy and healthy. 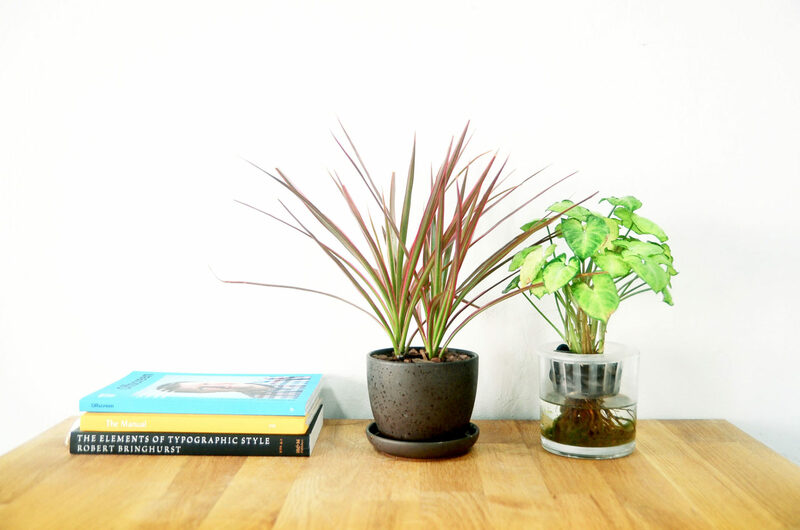 Ploy Boonnitipat, our account exec, wrote you a brief guide on keeping office plants. I’d like to think that we have a lot of plants for being a small office. As a design agency, we like to surround ourselves with interesting trinkets, such as Monument Valley prints, MailChimp action figures, wooden furniture and office plants. Unlike prints or action figures, however, the plants’ aesthetics require our discipline and patience to shine. Plants have been permanent residents at Grayscale since 2012. 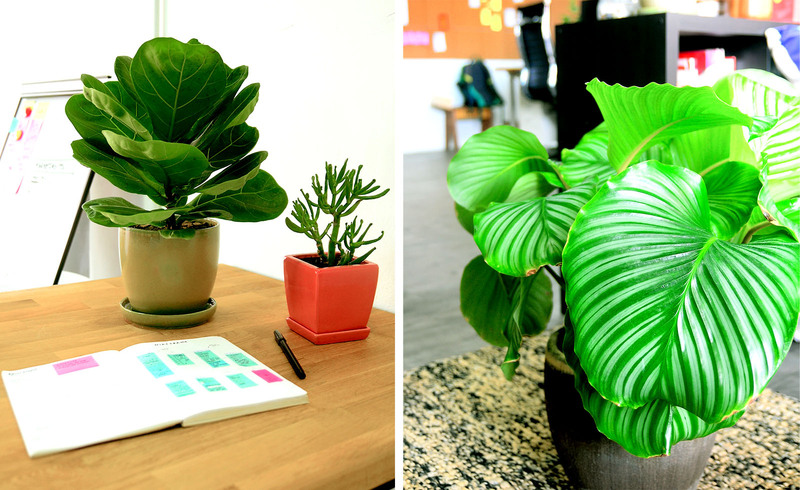 As a result we’ve learned a few things we’d like to share with others who like to have green friends around their office — and keep them! 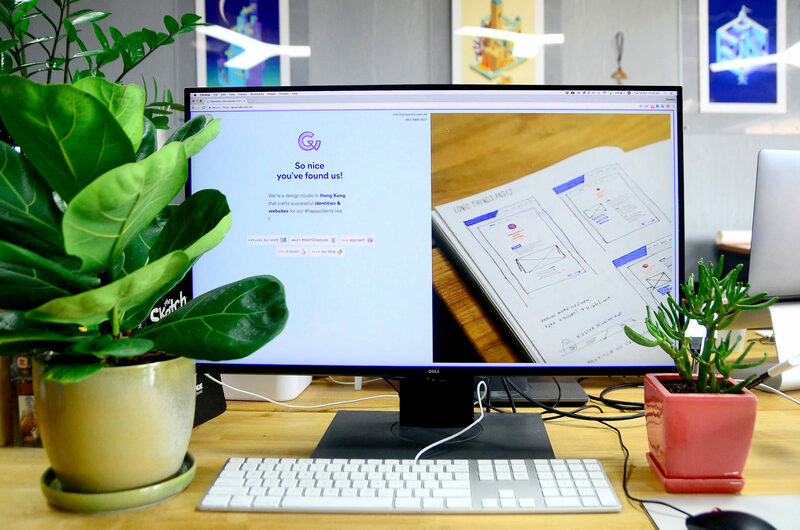 Choose the right plant for your type of office space and for the level of effort you’re willing to put in. 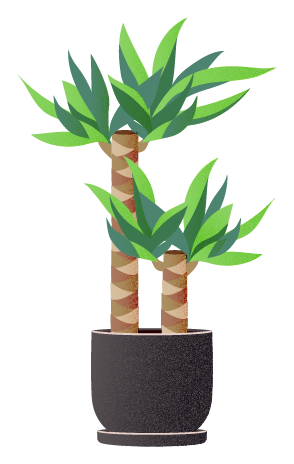 We know how tempting it is to get an adorable little plant that would perfectly fit in a coffee mug-size pot on your office desk, even though the seller forewarned you it likely won’t survive indoors. Growing plants should be a tranquil and pleasant experience, not a tedious and tiresome one. Given that, we became fans of lucky bamboo and arrowhead vine that can pretty much survive on water and light alone. Arrowhead vine’s leaves come in different shades of green heart-shape leaves. Put them away from direct sunlight and give them plenty of water, you will see new leaves sprouting in no time. Madagascar Dragon Tree. Just chillin. If you like a more vibrant plant, Fittonia and Madagascar Dragon Tree might just be for you. Fittonia looks delicate while Madagascar Dragon Tree looks rather rough and spiky – both detailed green with white and purplish red patterns on their leaves will create colourful bunch in your office space. Find a cozy place for your plants. Place yourself in your plants’ roots and unearth (yes we went there) how much sunlight and water they need to foster their growth. In nature, plants thrive when the sun and water conditions are just right. In office, this natural equilibrium is nonexistent and so the plant relies on their caretakers to recreate that condition for them. This step is the most critical and usually takes some trial and error but perseverance pays off! 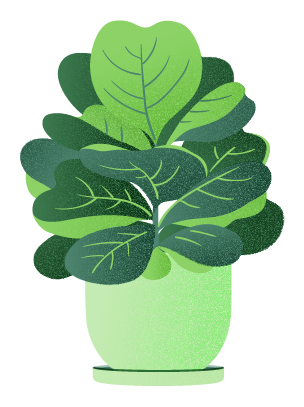 When the number of office plants grow bigger, taking care of them can get more than just a little daunting. Some need to be watered daily, while others might only need up to twice a week. To avoid having to add full-time botanist to our LinkedIn profiles, we invented our own simple watering chart. This is a neat little system which keeps track of how much water each plant needs. After all, we wouldn’t want to mess up after we have finally chosen the right plants, found their cozy spot, and figured out how much water each of them need! In my opinion, office plants have a higher chance of survival. Unlike houseplants where you are often the sole guardian, office plants also got your responsible colleagues to look after them, but there’s also a risk: if more than one person is responsible, it’s a little difficult to keep track of the ‘feeding times’ and thus risking under or overwatering our green residents. 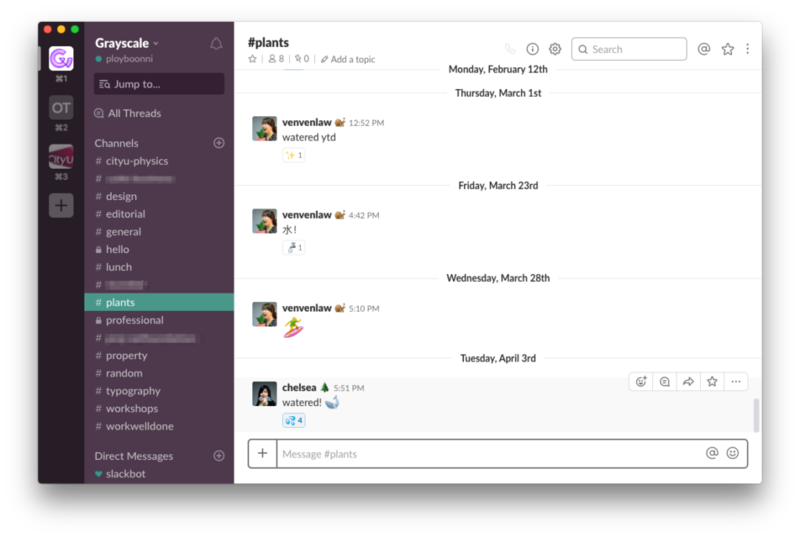 So to curb that, we opened a special Slack channel for all matters #botanical. Set up your own system together with your plant-loving colleagues to keep track of them plantae’s wellbeing. The main purpose of the group chat is for us to keep track of water status but the conversations can range from examining mysterious insects found in one of the pots to discussing how perky or wrinkly a particular plant looked after a long weekend. Most your plants are looking green and thriving, except for one which is wilting and look like it’s dying. Don’t throw them out just yet! Instead, try moving them around (for instance, from a bright spot to a darker one, or vice versa) and changing watering frequency. Especially if they are new, all they need is often some time and care to adjust into the new environment. The same happened to our shy grass: it recovered from just twig status, and it is doing so much better now than ever three weeks later. A day comes when one of your plants unwillingly did die on you. You and your colleague have been watering them according to schedule, ok so you missed a few times here and there but you’re certain that couldn’t possibly have been the cause of death. 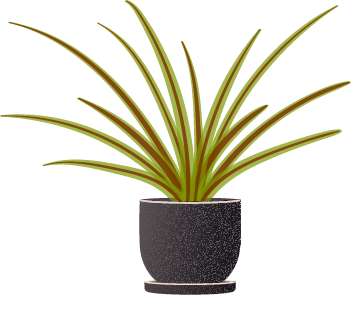 You’ve done your due diligence on Google “why do indoor plants die” but it made no matter: it has left this mortal coil and is off to greener pastures. You’re reluctant to throw the plants away as you remember that one time when the seemingly lifelessly dried up twig in the pot started sprouting light green leaves again. But now that three weeks have passed, it’s probably for the best to let go and throw it away. If the same plant type died on you over and over, it’s likely that type wasn’t suitable to your condition so you’d do better by experimenting with different types. 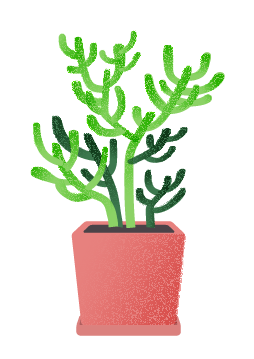 Find a suitable plant you like, choose a good place in the office to put them, water it accordingly, stay active in plant-related group chat, and give it a chance when it look a little wilted. 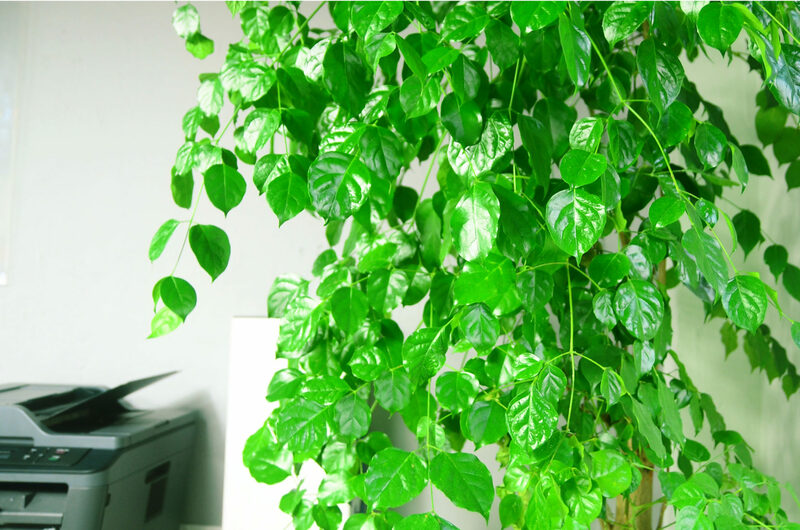 Keeping office plants is no simple task, but it is a rewarding one: I couldn’t imagine an office without them. Don’t give up if it didn’t work out; it’s a matter of finding out what works for you!